I like Amish romances. They’re sweet, but real. Vannetta Chapman has penned another excellent novel set in Amish country. A Home for Lydia, her second book in The Pebble Creek Amish Series, is easily read as a stand-alone. I find that Ms. Chapman allowed her characters to be real. While sweet and godly, they also have problems with temper and selfishness, as all humans do at times. I like real characters and will gladly read about their issues rather than about people who are perfect, with whom I cannot relate. 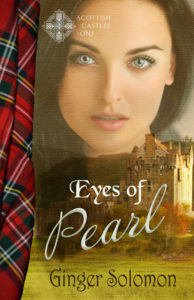 If you enjoy Amish romance, you will open A Home for Lydia and forget there’s a world outside Pebble Creek. 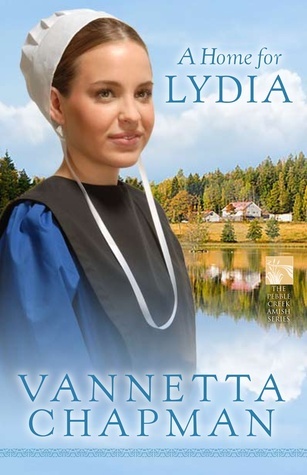 A Home for Lydia, the second book in a new romantic series from popular author Vannetta Chapman, centers again on the Plain community of Pebble Creek and the kind, caring people there. As they face challenges to their community from the English world, they come together to reach out to their non-Amish neighbors while still preserving their cherished Plain ways. Aaron Troyer simply wants to farm like his father and grandfather before him. But instead he finds himself overseeing the family’s small group of guest cabins nestled along the banks of Pebble Creek. That also means he must work with the cabins’ housekeeper, Lydia Fisher. Lydia is the most outspoken Amish woman Aaron has ever met, and she has strong opinions about how the guest cabins are to be run. She also desperately needs this job. Though sparks fly between boss and employee at first, when the cabins are robbed, nothing is more important to Aaron than making sure Lydia is safe. Together they work to make the vacation property profitable, but can they find out the identity of the culprit before more damage is done? And is Lydia’s dream of a home of her own more than just a wish and a prayer?